If you’ve logged into ExamTime today you’ll notice that we’ve got a new look and some great new features, just in time for Christmas! If you’re feeling a bit flustered, or just plain curious, read on and we’ll guide you through all the changes. The old folder system is gone, your Subjects now take central stage and are presented as tiles. Your Dashboard acts as a portal to every aspect of ExamTime. Your Timeline is an aspect of your Dashboard. This is a completely new feature. It shows you ,at a glance, what you’ve done in the past and what you need to achieve in the future. We’ve made managing your Study Aids much easier . 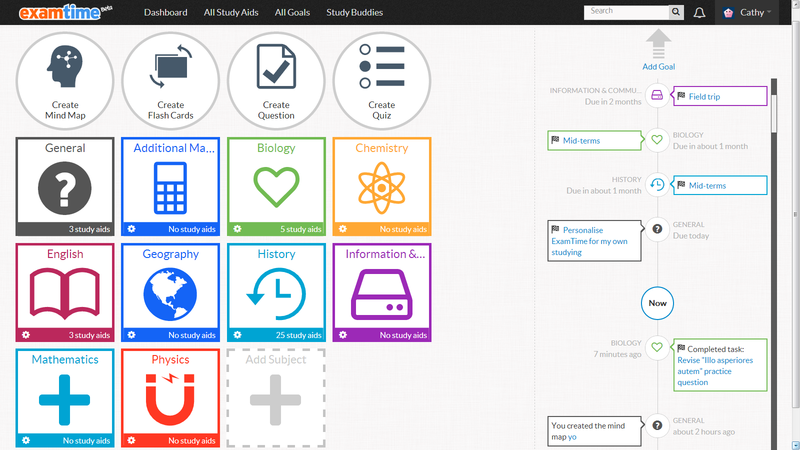 With the new Study Aids screen you can find what you’re looking for in a matter of seconds. Another completely new feature! This allows you to set yourself a Goal that you need to achieve– this could be an exam or even a class trip– anything you need to do or complete. We decided to focus on these areas after listening to your feedback. We feel that these areas significantly improve the user experience of ExamTime, making it easier to manage your Subjects and Study Aids. 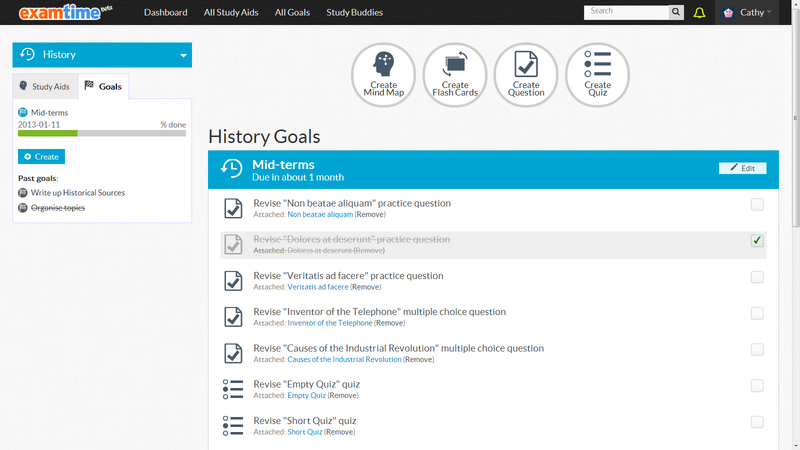 The new Goal setting feature and the Timeline are significant steps forward in what we want ExamTime to be; your complete online study environment that you can access anywhere, anytime! Even though there has been a lot of work in this update, in the grand scheme of things it is only a stepping stone to what ExamTime will be. We are still in beta after all! Firstly, we got a new Dashboard. Isn’t it lovely? You can see that our Subjects have a new look. They’re no longer folders along the left hand side but Subject Tiles that populate your Dashboard. Each tile has their own colour and icon, which you can pick when you create it. Underneath you’ll see the number of the study aids you have in each subject. 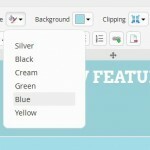 Above your subject tiles you’ll see the familiar create options. Their icons may look a little more stylish but they still bring you to the same great features (and even a little bit better). 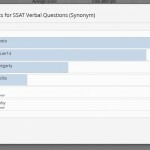 Here you can create your Mind Maps, Flashcards, Questions and Quizzes. We won’t give it all away but in the New Year we’ll be releasing some big features too! On the right side of the Dashboard screen you’ll see your Timeline. This is a completely new feature which we’ve developed so you can easily navigate all your activities at a glance. It shows your past activities and the Goals you have to complete in the future (more on this later!). This screen allows you to slice and dice all your content so you can find it quicker. On the left hand of the screen you can pick your Subject. You can add Topics underneath these to help you further organise your Study Aids. In the center of the screen you’ll see a list of all your Study Aids, this list will update depending on which filters you pick. Within a subject you can filter by Topic and Type. So, for example, you could filter your History Study Aids so that you only saw Mind Maps and Flash Cards for the Industrial Revolution. Above the Study Aids table in the center you will see numerous options such as Share, Move and Delete. You can select a Study Aid by ticking the box beside it on the left. You can also select more than one at a time so if you want you can Share 10 different Study Aids with your Study Buddies. Switch over to this tab to create a Goal. A Goal is a completely new feature. You create a Goal when you have something you need to achieve—it can be as big or as small as you want. It could be your end of year exams or your weekly homework. When creating a goal you have to assign a due date (this is the date you have to complete your Goal by). You can then add Tasks that need to be completed in order to achieve your Goal. You can tick these off as you complete them. You will see your progress bar increase the more Tasks you tick off. When creating a Task you are also able to attach a Study Aid to it. Essentially this means that you want to revise a certain Study Aid as part of a Goal. 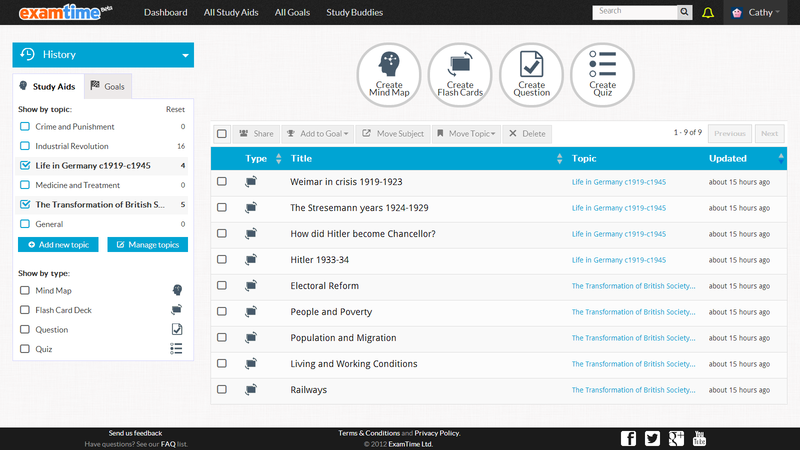 Under each Task you will see the option to attach a Study Aid. 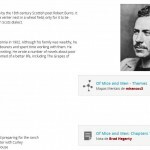 You can also directly send a Study Aid to a Goal by using the options on the Study Aids screen. You can also create a Goal by going to your Timeline on your Dashboard. At the top of your Timeline you will see an Add Goal button. Click on this or go into the Goal section whenever you want to create a Goal. Whenever you create a Goal it will appear on your Timeline. Your most urgent Goal appears closer to the ‘Now’ node. You can click on the ‘All Goal’ section to see all your Goals at once. 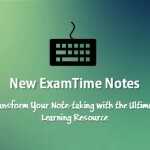 There are many more nooks and cranny’s for you to explore but hopefully this short overview has given you a good idea of what you can do when using ExamTime. So make sure you try out our new features yourself either by logging in or signing up. We’ll be releasing more features in the New Year so ExamTime will be even better by the time you return to school or college or wherever you find yourself! For a more thorough walkthrough of the new features check out the FAQ section as well as these tutorial videos on Mind Maps, Flash Cards, Quizzes and Goals. 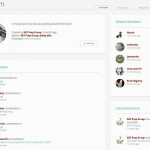 This entry was posted in Education and Economy, ExamTime Blog Posts, Latest news and tagged New ExamTime Feature. Bookmark the permalink.